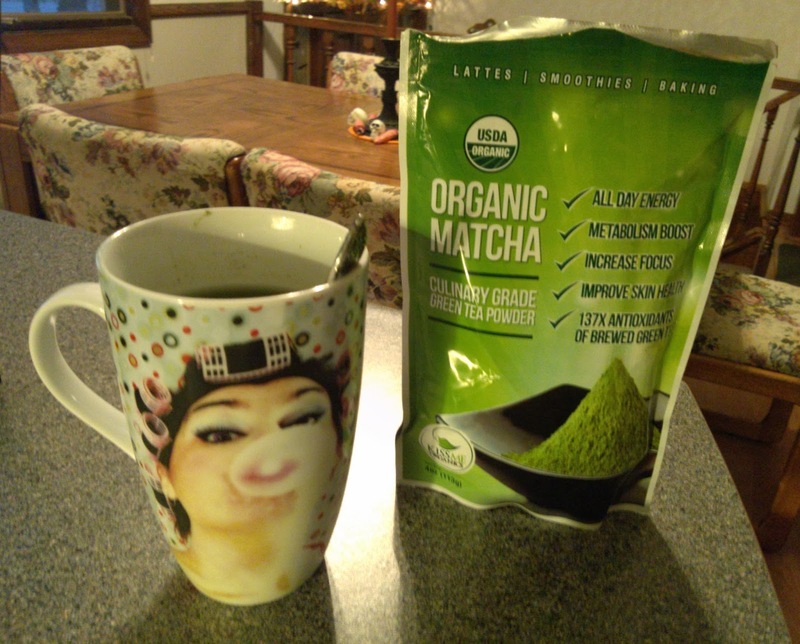 Organic Matcha Green Tea Powder from Kiss Me Organics is a very fine powder version of the healthy green tea drink. Unlike other teas, matcha hasn't been fermented and can be harvested from anywhere in the world. It is also more than just ground up green tea leaves - Matcha is derived from tea leaves grown in the shade which creates darker green leaf color and gives matcha its amino acids. In my experience, brewing this green tea matcha tastes pretty good on its own - just whisk 1/2 teaspoon in hot water. I add a packet of Splenda too. It gives me a good feeling of energy and keeps me focused. The powder does settle to the bottom after sitting awhile, so I'd recommend stirring well. The other option I like is using this in smoothies. The packaging is very handy in a zip-sealed bag for easy access. 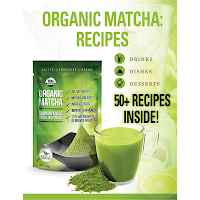 Overall I think Organic Matcha Green Tea Powder is a great product that tea lovers and cooks alike will enjoy.